A disillusioned, angry university graduate comes to terms with his grudge against middle-class life and values. A pregnant teenage girl must fend for herself when her mother remarries, leaving the girl with only a new male friend for support. Despite success on the field, a rising rugby star senses the emerging emptiness of his life as his inner angst begins to materialize through aggression and brutality, so he attempts to woo his landlady in hopes of finding reason to live. 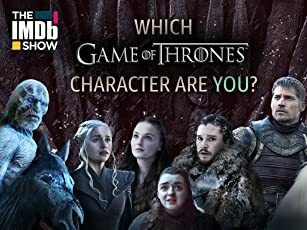 A lazy, irresponsible young clerk in provincial Northern England lives in his own fantasy world and makes emotionally immature decisions as he alienates friends and family. After his girlfriend's pregnancy forces him to marry her, a young man must adjust to his new life and contend with his domineering mother-in-law. The editor of an exploitation newspaper commits a murder and assigns his protégé to investigate hoping to divert attention away from himself. Alison Porter: You know what he said about mummy, he said she was an overfed, overprivileged old cow. Colonel Redfern: I see, and what did he say about me? Alison Porter: He doesn't seem to mind you, in fact I think he rather likes you. Poor old daddy, just one of those sturdy plants left over from the Edwardian era wondering why the sun doesn't shine any more. Colonel Redfern: Why did you have to meet this young man? Alison Porter: Oh daddy, please don't put me on trial now. I've been on trial every day and night for the past two years. Colonel Redfern: But why you, my daughter? 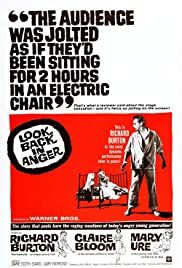 To watch "Look Back In Anger" so many decades after its brief era of relevancy is to encounter a head-scratchingly pointless film and wonder what all of the yelling was about. This dank and claustrophobic look at one of Britain's army of post-war "Angry Young Men" might be a tad more bearable were Richard Burton asked to take it down a notch. Burton's endless bellowing (second only to Peter O'Toole's bray-as-acting style) is ill served by it never being made quite clear just what this guy is so miffed at all the time. he's just the only one who seems hell-bent on making sure others are as miserable as he is. That being said,the entire film is not devoid of certain pleasures (the photography is appropriately dingy, Claire Bloom is always a delight and Gary Raymond, so good in "Suddenly Last Summer," was a real surprise here with a more sizable role) but it's near unbearable being subjected to a film about a man feeling sorry for himself non-stop. It struck me as being sophomoric in theory and tedious in execution. If this film reminds me on anything, it's of an episode of "The Flintstones" where Fred is cast with wife Wilma in a kitchen-sink domestic drama about an abusive, lout of a husband and his meek wife. 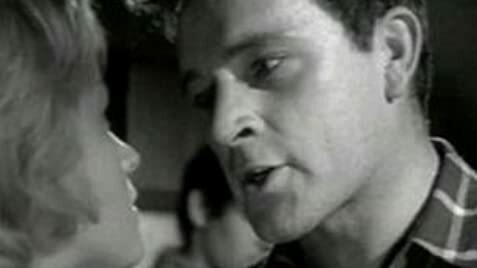 The show's title: "The Frogmouth," a perfect subtitle for this mess- Richard Burton in "Look Back in Anger aka The Frogmouth."